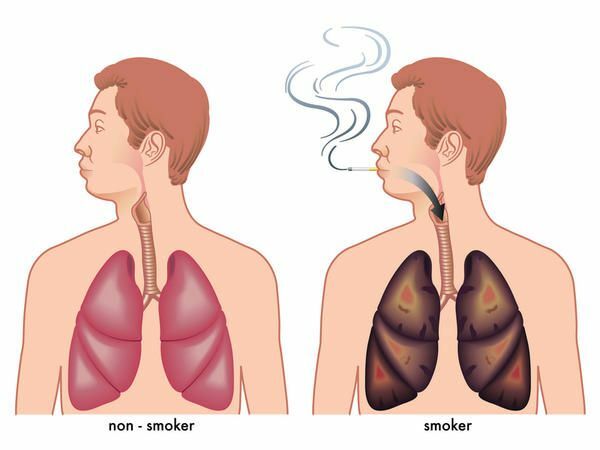 Smoker’s cough is typically present for more than 3 weeks. In this kind of cough, the cough drop or cough suppressing medicine can’t give you relief. If you’re not a heavy smoker, the cough will be dry. But, in later stages, if you smoke more heavily, the cough will be “wet” and will bring up phlegm every time. The phlegm may be clear, white, yellow, or green. The cough is worst on waking, and improves gradually. Chronic persistent cough, worse every morning on rising. The cough may be dry or productive. Occasionally, the person may cough up blood. There will be associated breathlessness. Some smokers suffer from wheezing. Unexplained weight loss is another accompanying feature. You need to be well hydrated, because water lubricates the throat so that the bruising caused from constantly and persistently coughing will be less painful. Increase the intake of vitamin C. Step up your consumption of limes, lemons, oranges, guavas, mangoes and bell peppers. Honey is an excellent remedy for smokers cough. You should consume 3 to 5 spoons of honey every day. In order to clear the phlegm in your throat, you should gargle with hot saline water several times in the day. Boil water in a pod and add a few drops of tea tree essential oil to it. Inhale the vapors, taking deep breaths, whilst you cover your head. This calms cough and releases phlegm. Instead of tea tree oil, you could also use caraway seeds. These are exceedingly effective too. Make sure you follow this ritual every night before you go to bed. Put mint leaves and ginger in water and boil it. Inhale the vapors as well as drink up the concoction, 3 to 4 times daily. It will yield quick and wonderful results. Garlic is another excellent home remedy for smoker’s cough. Chop 2 flakes of garlic and add to some milk. Boil this for about 15 minutes. Strain and drink this blend at least 5 times every day.